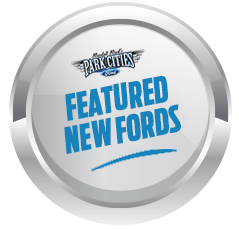 DETROIT, March 17, 2018 – Ford Motor Company Fund tonight unveils a new mobility program that will expand year-round indoor gardening in Detroit and provide an educational platform to teach local youth about nutrition and farming. Collaborating with Cass Community Social Services, the Ford Mobile Farm will provide an ongoing food source to Detroit residents through a hydroponic garden inside a 40-foot shipping container. 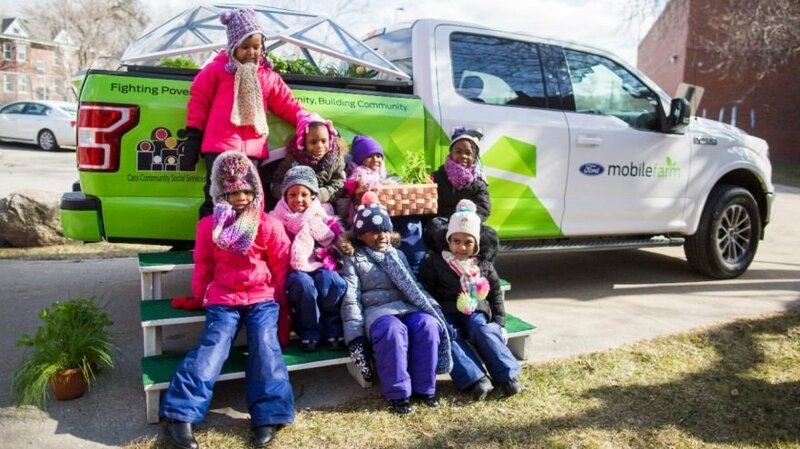 An F-150 pickup truck with a garden in the bed will visit local schools to teach healthy eating habits and provide hands-on learning activities. In 2017, members of a Thirty Under 30 team were challenged with improving Ford Mobile Food Pantries, a successful food distribution program launched in 2008 to address increasing hunger needs across metro Detroit. Team members toyed with the idea of creating a farm in the bed of an F-150, which led to growing vegetables inside a 40-foot shipping container. The team presented the idea to company and Ford Fund leaders and won $250,000 in funding from the Bill Ford Better World Challenge, a grant program funded by Ford Motor Company and Bill Ford personally to provide support for employee ideas capable of transformational change. The grant will help purchase and outfit the freight farm, hire a person to oversee the farm, support the educational arm of the program and prepare an F-150 for school visits. This spring, an F-150 will travel to Detroit-area schools where students will learn about growing vegetables from seed, nurturing plants to grow, harvesting food and good nutrition. The children will put plants in the soil, harvest vegetables and taste the produce. Organizers expect to reach 2,250 students this year with the Mobile Farm’s F-150 site visits. Growing food inside a shipping container is an innovation that is gaining in popularity worldwide, especially in urban communities. Cass Community Social Services, a Detroit nonprofit dedicated to providing area residents with food, housing, health services and job training, will house the 40-foot shipping container that will become the Ford Mobile Farm. Ford Fund and Cass Community Social Services are longtime collaborators on community projects, including the Cass tiny homes neighborhood. The freight container will be equipped with LED lighting to enable seeds to sprout and vegetables to grow. Hundreds of vertical planters will house produce that will be fed by captured rainwater infused with nutrients. The container will have the growing capacity of up to two acres of land and produce up to 52 harvests per year. The unit will be partially powered by solar panels to reduce environmental impact and offset operating cost. Nationally, 41 million Americans struggle with hunger. In southeast Michigan, nearly 900,000 adults and children are food insecure and 700,000 live in poverty. Rev. Faith Fowler, executive director of Cass Community Social Services, said produce from Ford Mobile Farm will help feed the hungry at the nonprofit’s community kitchen. Produce will be sold to area restaurants to create an income stream to help support the freight farm. And that, said Jim Vella, president of Ford Motor Company Fund, helps fulfill one of the fund’s key goals. The Bill Ford Better World Challenge annually awards up to $500,000 to support programs aimed at solving access to water and improving sanitation, as well as mobility challenges and other basic needs. In 2017, additional grant winners included the Clean Water Community Project in Mexico and the Smart Toilet Project in India. The Ford Mobile Farm exemplifies how members of Thirty Under 30 are increasingly using their expertise in the community. In February, a Thirty Under 30 team received $10,000 to improve efficiencies at Fish and Loaves Community Food Pantry, which serves families in suburban Detroit’s downriver communities.